Wörgl DIY, a project triggered by Roman “Asti” Astleitner & Marco, owner of the local skate shop Pilotto and after 13 years of construction, it is one of the most stunning, fun and beastly skateparks you will find in all over Europe. 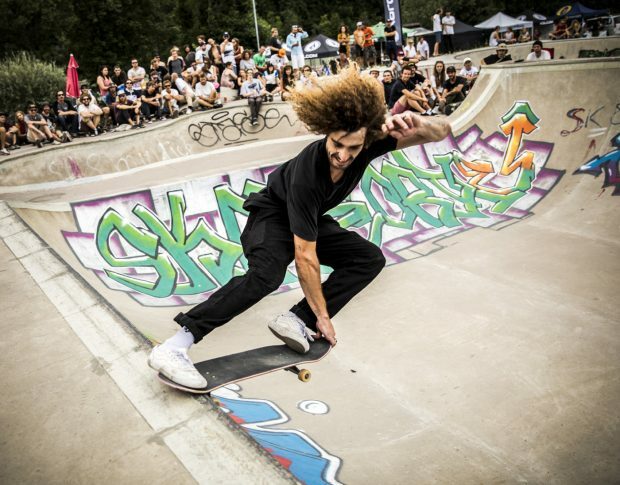 After the last part of the skatepark was finished this year it was time to unleash the concrete beast with an opening party that worships the hard work. 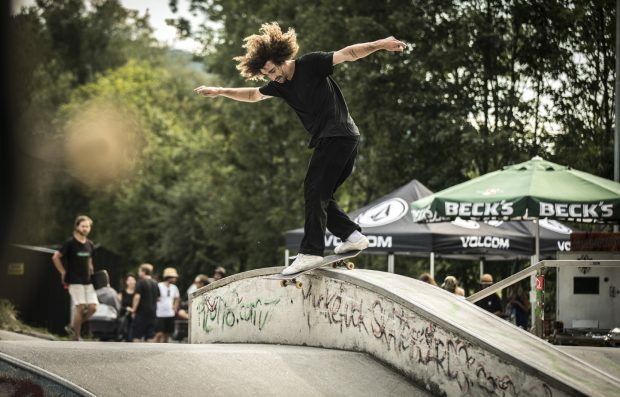 There were €2000 cash for tricks, custom made Volcom X Wörgl X Independent truck trophies, a pigling BBQ, live music and beers. thanks to all the locals and workers like Ralf Edlinger, Alex Kapfinger, Hannes Sautner, Peter Stromberger Leo Teissl, Roman Erhart that made this skatepark come to life. 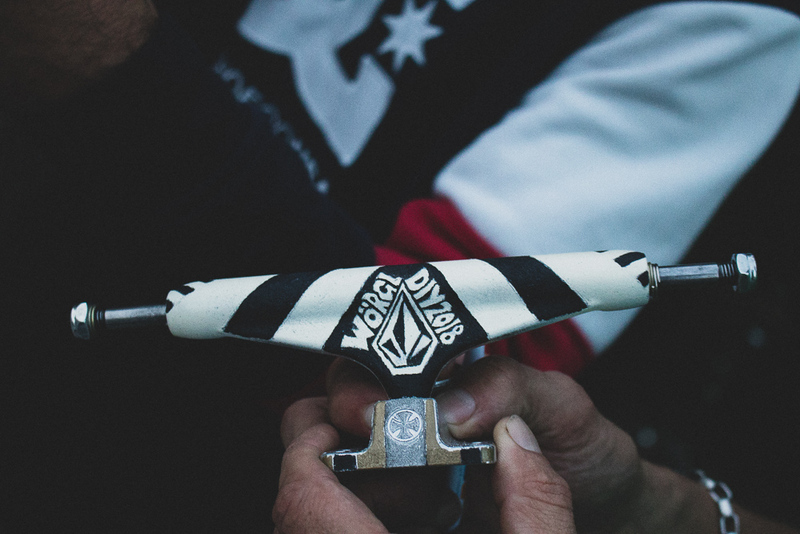 And thanks to Roman Astleitner as the head of this project, the Pilotto skateshop, Muckefuck Urethane, Mark Scott & Joey Martin (Dreamland Skateparks), Chet Childress, Willis Kimbel, Emil Kästle and all of the other helping hands and celebrators who came out last weekend. Harry Lintell. 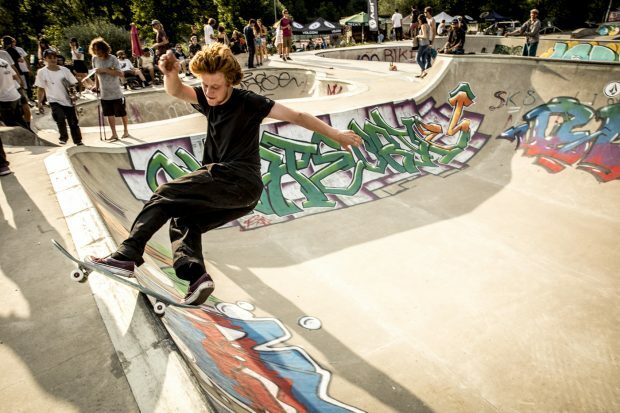 Nollie backside flip.